Alternative title for this would be “How Maxis Makes Life Easier For Their Customers”. I always buy prepaid cards when I’m overseas regardless of whether I’m on a business trip or for leisure. While our local telcos have unlimited data roaming for a flat fee, it’s still costly compared to a local prepaid SIM in some cases. When I was in Bali, an initial top up of $8 SGD lasted me for 4 days. This was with my girl keeping herself busy with YouTube while we moved from location to location. This time round in Malacca, I got a HotLink prepaid card from Maxis. 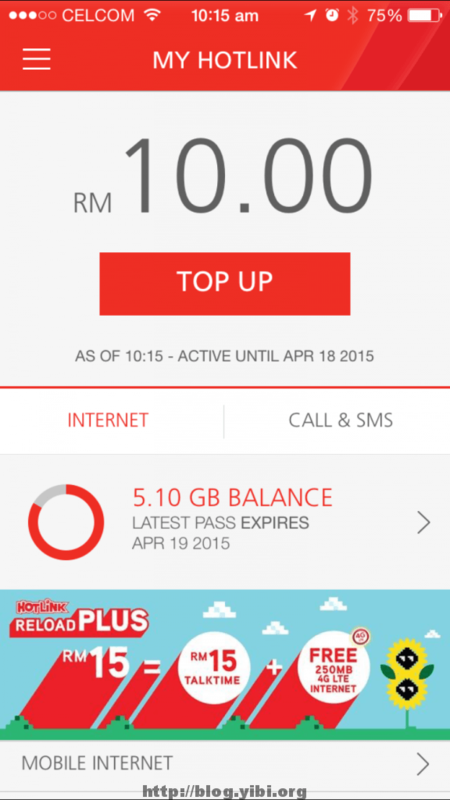 The card itself is $10 MYR and 1GB data valid for 24 hours is $10 MYR. With free WiFi in the hotel, the 1GB is actually good enough. 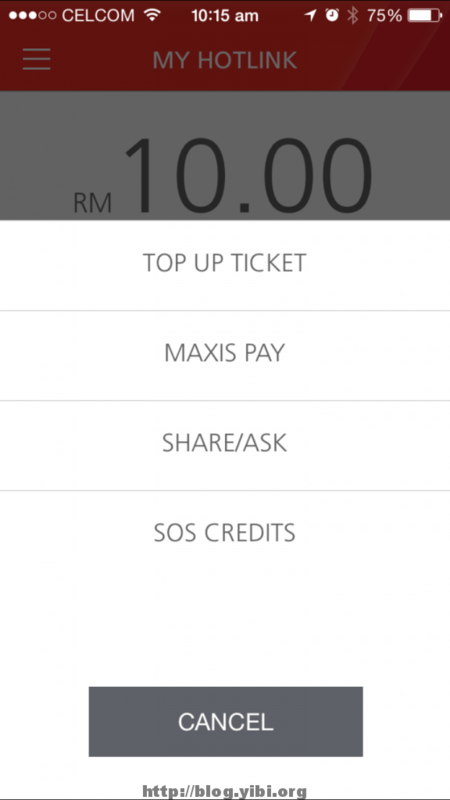 But price aside, the main thing I’d like to talk this time round is the mobile app from Maxis. I use my prepaid SIM in a MiFi router, so in typical situations, you need to do top ups with a mobile phone because you need to dial their short codes. e.g. *100 etc. to access the self service menu. Now, Maxis actually has this app call Hotlink Red. With this app, I can top my prepaid card from my iPhone, without popping out the SIM card from the MiFi router. Frankly speaking, this is actually not a very difficult thing to do, but not all telcos have done this. The app shows how much credit I have and some other statistics like my data consumption. Data consumption is updated close to realtime. The top up and buying of services can be done from the app. The ‘TOP UP TICKET‘ option is the typical card that you get from the convenience stores. I’m not sure what is ‘MAXIS PAY‘. I didn’t try it because I needed to sign up for some account with Maxis. I think the missing option here is PayPal or credit card. Maybe that’s in the ‘MAXIS PAY‘ option. This is a simple app, but I think it has made my life easier. I didn’t need another phone for those short-code functions and checking my usage.